Developer Housemarque recently posted some more information on their website about the forthcoming title, Alienation, as well as the trailer that was shown during Paris Games Week. Co-Op is the focus this time around in addition to some discussion about the loot system. With Alienation, not only we’re doubling down on tech, enemy numbers and destruction, but we’re also focusing our efforts on two more things: online co-op and loot. While the campaign is perfectly playable in single player, Alienation is built with collaboration in mind... Up to four players can take control of one of the three classes available (Bio-Specialist, Exoskeleton and Saboteur), and combo their powers to make sure the Xenos get their fair share of lead. What will set these two titles apart further - aside form the change in shooting aliens instead of zombies - is a new loot system. Per Housemarque, there will be "nine types of resources to collect" that can then be combined "to expand the capabilities of weapons or 'reroll' their stats." While none of that is shown in the latest trailer, you can see players teaming up to take down the alien threat. 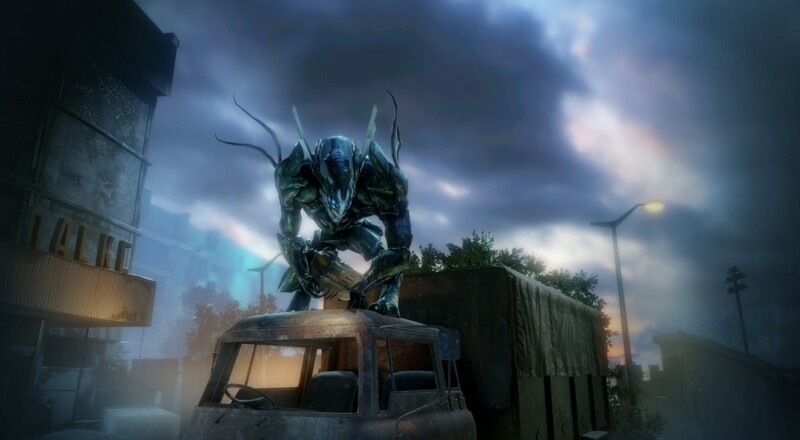 Alienation​ arrives on PlayStation 4 at some point in the future. Housemarque further stated that the game is nearing completion, but that could mean anything from next month to early next year. With so many high-profile games out now/quickly on the way, it's probably a safe bet that it will be closer to the latter. Page created in 0.3520 seconds.